WordPress is a great platform to build a website for your small business, freelance services or professional career. Most small businesses are bootstrapped so there isn’t a large budget to build a website. Fortunately, by using WordPress and installing a theme, you can build a very professional looking website for almost nothing. 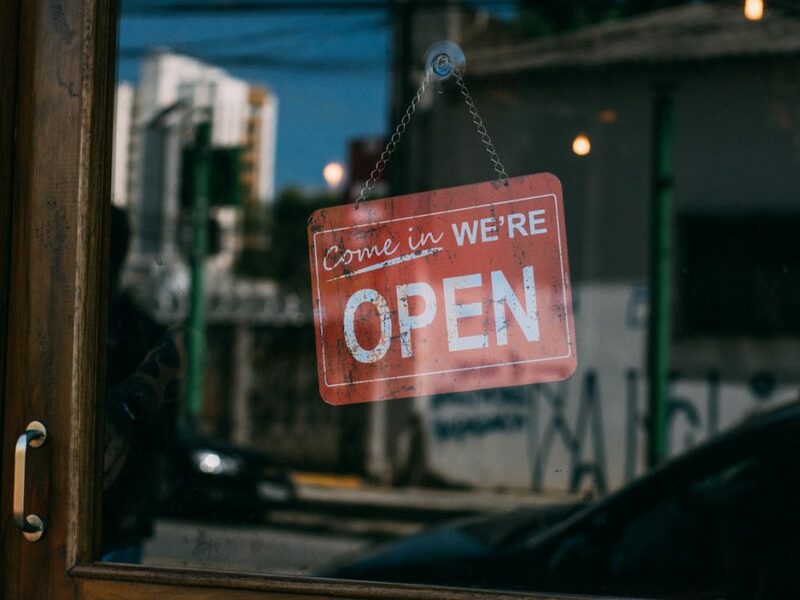 In this weeks collection we’re going to list 10 free WordPress themes small businesses can use to build a website. We’ve picked themes which have been updated in the last 3 months and have a minimum three out of five star rating. 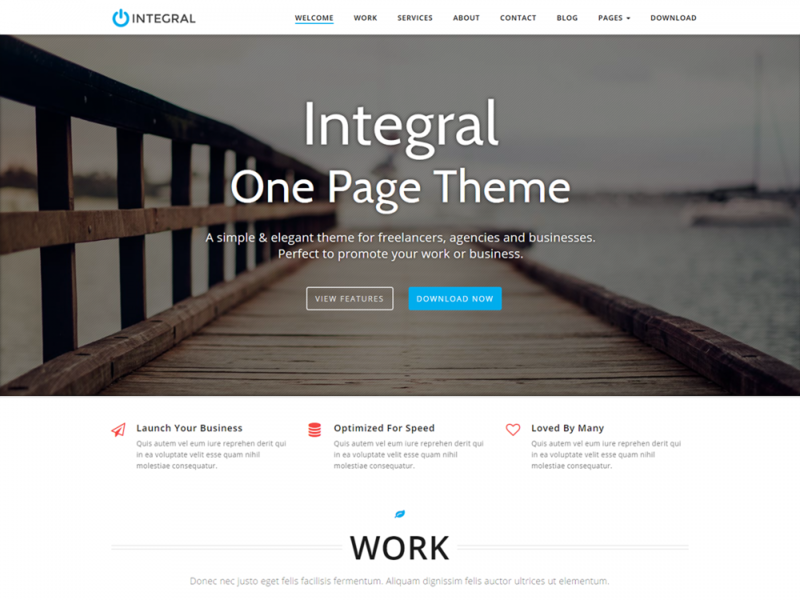 Build a professional website with Integral One-page business theme. Its strength lies in displaying content on a single page in a simple and elegant manner. It’s super easy to customize and allows you to create a stunning website in minutes. It boasts a rich color scheme with light and dark sections and a clean, minimal, modern design with smooth parallax effect. Integral is built with Bootstrap, is responsive and integrates with popular plugins like Contact Form 7, Woocommerce. Integral is now compatible with Elementor & Beaver Builder page-builders. 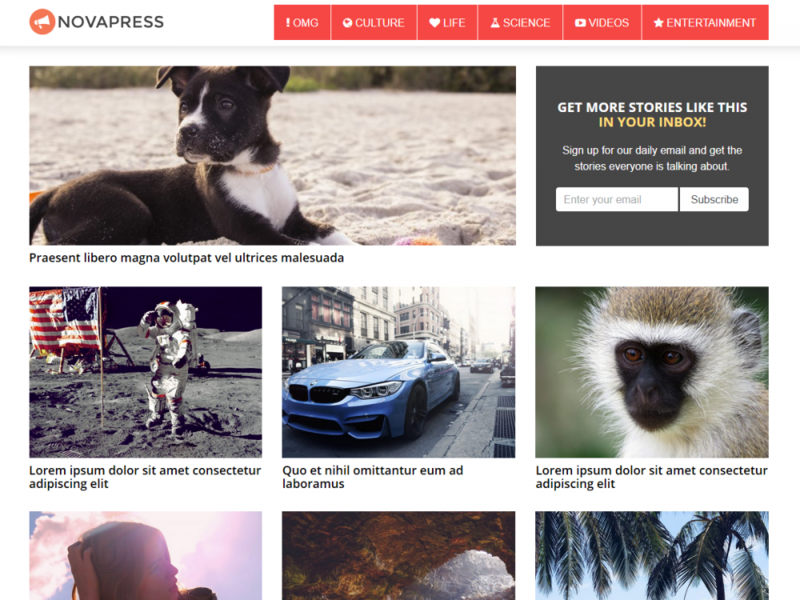 Business Idea is a responsive WordPress theme. It is fast, fully customizable & beautiful theme suitable for all type business. It has great portfolio design, page builder compatible and WooCommerce support for online business store. Perfect for personal, lifestyle, health & fitness, food, cooking, bakery, travel, beauty, fashion, wedding, photography, news, quotes blog, auto blog, small business website and any other kind of business purpose. The theme comes with a clean look, but it also provides subtle hover animations. Business Idea offers mailchimp newsletter integration, a flexible feaures via Live Customizer option panel, a footer widget, Elementor and Beaver Builder supported theme template. It has full width home page slider feaures, and even more functionality based on the latest control settings. The theme is lightweight and SEO-friendly. The Pacific Theme is built for small businesses looking to stand out. Pacific combines fluid design and user-based functionality to form something that is truly seaworthy. A theme that blasts all difficulty out of the water, it has all the building blocks necessary to establish your online presence. A certain level of customisation is also available to make sure your business feel uniquely yours. Create an engaging, bold and sleek looking website design using Pacific. Sirius is a clean, simple, material design business theme. This multipurpose theme is built on the Bootstrap framework, making it fully responsive and mobile friendly. It has a special front page template that can be used to set up a one page website. With featured pages (with images and icons), two call to action sections, and two open content sections, Sirius is extremely flexible and easy to set up and use. It has a top navigation with an option to show social media icons and a smaller navigation. Sirius is a perfect choice to set up a small business website, landing page, business portfolio, or a creative agency website. You can set the background color for each front page section, and control the filter/overlay color for the CTA sections. This simple theme gives you complete control and flexibility to create any kind of website. Backed by awesome one-on-one support, Sirius is an excellent choice for your next project. Rara Business is a free WordPress theme for business and corporate websites. You can use it to build small business (restaurants/cafe, travel, education, hotel, construction, events, wedding planners, fitness, affiliate, fashion, lawyer, consulting, sport/medical shops, spa/temas, political), portfolio, church, online agencies and firms, charity, ecommerce (WooCommerce), and freelancers websites. Rara Business is widgetized, visually appealing and clean. It is responsive, Schema.org compatible, SEO friendly, RTL compatible, speed optimized, and translation ready. The Optimizer, an easy to customize multi-purpose theme with lots of powerful features. This theme lets you customize each element Live without you having to touch any code. The theme comes with 2 site layout: Full width & boxed, Beautiful image slider, easy Logo upload, 600+ Fonts, powerful theme options, Custom CSS Field & lots of Color options. The optimizer is 100% responsive built with HTML5 & CSS3, it’s SEO friendly, mobile optimized & retina ready. Its translation ready, ready for WooCommerce, bbPress, Mailchimp, Contact Form 7. The theme is rigorously tested and optimized for speed and faster page load time and has secure and clean code. It’s perfect for any types of website – Landing Pages, small business, portfolio, photography, corporate, personal & eCommerce websites. Owing to the modern and clean look Food Express WordPress Food Theme is an ideal choice for small food based businesses. Spectacular custom homepage, supporting Polylang translation plugin that displays effectively both eye-catching images and detailed information to promote you and your services. The theme is integrated with WordPress customizer, offers custom color options and gives you all possibilities to change its look without any coding. Tar is a lightweight, bloat-free, simple, multipurpose WordPress theme. You definitely wouldn’t be able to do everything with Tar but free version is more than enough to kick start your own website within mintues. Lets you customize most of the element Live with very little code touch. The theme comes with Full width layout, easy Logo upload, powerful theme options, Custom CSS Field & lots of Color options. Tar is 100% responsive built with HTML5 & CSS3, it’s SEO friendly, mobile optimized & retina ready, translation ready, ready for WooCommerce. Tar is a Free lightweight fast loading WordPress theme and has been thoroughly tested by WordPress coding standard and Gutenberg ready. It’s clean and bloat free and has fast loading time Perfect for – Landing Pages, small business, portfolio, corporate, personal websites. 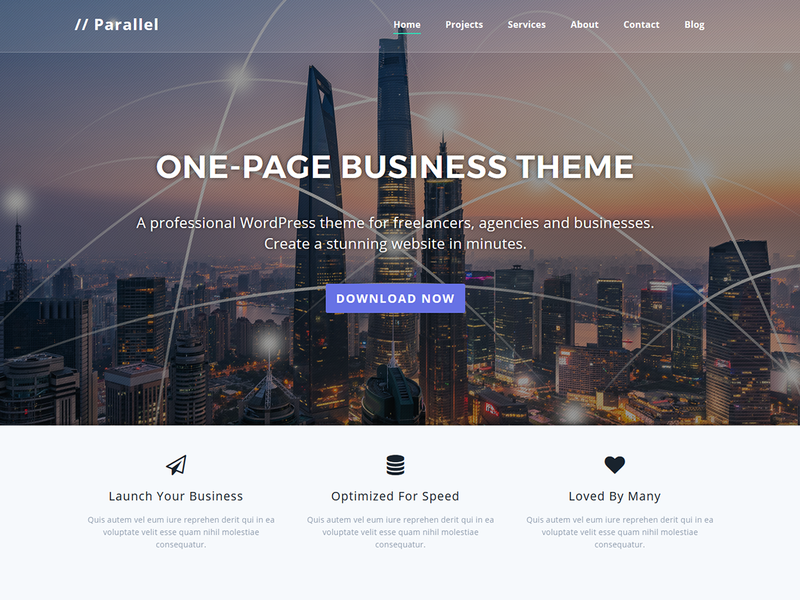 Build a professional website with Parallel One-page theme for startups, businesses and professionals. It’s strength lies in displaying all your content on the homepage in a simple and elegant manner. It’s super easy to customize and allows you to establish your online presence in minutes. It boasts a rich color scheme with light and grey sections and a clean, minimal, modern design with smooth parallax effect. Parallel is built with Bootstrap, is responsive and integrates with popular plugins like Contact Form 7, Mailchimp for WordPress & Woocommerce. Featured lite theme is specially designed for corporate/business websites. Theme is user friendly and its instant set up process help you to create professional website for Business (Agency, Interior, Florist, Transport, Construction etc), Shop / eCommerce, Personal, Blog, Photography. This responsive theme comes with live customizer, Full body background slider and background image option, Translation ready, Header layouts (Default, Center and Split), Widget based home page sections with unlimited items capability, Unlimited color option, Advance Section styling, Professionally designed sections (Ribbon, Services, About Us, Call to action, Team, Shop (WooCommerce), Testimonial, Latest News, Contact Us (With call to, Mail to, Address and Map). Theme contain seven widget area (Four for footer, Two for sidebar (default pages) and one for shop page). Theme is compatible with WooCommerce, bbPress, Lead form builder, Contactform7 and with many other WP plugin.